Just like Monty Python, now it's time for something a little bit different. My taste in music is quite eclectic. I love classic rock for the most part, I dig jazz a lot, I enjoy classical music, Frank Sinatra and other big band artists, video game music, anime music, and so much more. I don't really care much for current artists, nor do I follow anyone currently. Hopefully this list of five of my favorite bands will show you my personal tastes in music, one of the best ways to soothe the savage beast. It's hip to be square is a popular saying with the band, but Huey Lewis and the News are anything but square. Creating their own special sound in the 70s and 80s, it was difficult to turn on the radio and not hear one of their catchy tunes. Huey Lewis has a terrific singing voice, and combining that with the magnificent melodies, riffs, and beats, you had one act that failed to disappoint. It's a shame that the craze died out because I'd love to see a second coming, a renaissance, if you will, of Huey Lewis and the News music. Phil Collins headlines this band as the singer and drummer. Genesis was originally looking for a lead vocalist for the band, and lo and behold they received one from their drummer. Crazy world, huh? Genesis is a progressive rock band with a lot more mainstream success than other bands on this list. Each album they produced had countless hits and wonderful songs. Phil Collins would later leave the band to establish a great solo career which he continues to this very day. The first of two Japanese bands on the list. I'm not an otaku or whatever terminology is used nowadays. I do watch the occasional anime, but my tastes have become very refined (i.e. picky). That said, I originally heard the Pillows providing the soundtrack to the whacked-out anime Fooly Cooly or FLCL. I didn't care the anime itself, but what kept me watching... or listening was the awesome rock of this band, the Pillows. I've since purchased one of their solo albums along with the FLCL soundtracks-- all three of them. Sometimes their lyrics are in English, but the songs are always full of kickass instrumentation and melodies. As soon as the opening and title theme that accompanied it showed up, I was automatically in love with Cowboy Bebop. The Seatbelts were formed for this particular anime, and they've joined each other for others such as Wolf's Rain and Darker Than Black. There is no limit to what genre of music they specialize in. Jazz, funk, rock, heavy metal, bebop, ballad, among others. Yoko Kanno is without a doubt my favorite composer, and her band, which she plays piano/keyboard and sometimes sings, is my second favorite band. This progressive rock group formed in the late sixties, and they would have multiple iterations of the band, but the lead vocalist, Jon Anderson, would be the common thread that would hold the band together. Currently, Mr. Anderson, whose vocals are the best in the business, is suffering from an illness, and the band is on tour without him. Regardless, most of Yes' music are musical adventures taking the listener to the heavens, the sun, and the universe. One song is twenty minutes long and is divided up into several parts. The words may not seem like they make sense, but it's the harmonies and melodies I truly like. Catch some of these examples of what makes Yes my favorite band (thanks, dad...). I've posted their most popular songs. Enjoy! What are your favorite bands? Hit me up with a comment below, and share with all of us! April showers bring May's Central City Census. It's time once again for a brand-new poll for my readers to respond to. Before we do that, however, let's check out last month's results first. Which type of PC do you primarily use? It seems we have more desktop users browsing the blog than anything else taking up half the vote. Meanwhile, 11 votes back, laptop (my personal choice), hit 25 votes. Nine of you use both generally, and one person and percent of you use other. Whatever the hell that means. With that out of the way, let's get to May's census. E3 is set to kick off in the middle of June. May's Central City Census has to do with E3 performance. Since E3 will be starting around the time this poll ends, it's the perfect time to bring this question up. Which first party do you think will have the best E3 this year? The month of April had several recurring themes. Well, two to be exact. Can you guess what they were? For one, it was a month of retro reviews-- five in all. The best scored retro game, and actually the best scored game of the month, was Donkey Kong Country 2: Diddy's Kong Quest with a score of 9.0. We also reviewed Mario Golf (9.0), Donkey Kong Country (9.0), Pokemon Snap (7.75) and Yoshi's Story (6.5) which received our lowest score for the month. The other theme was an unintentional one of the Sony variety. Four Sony themed reviews were made. 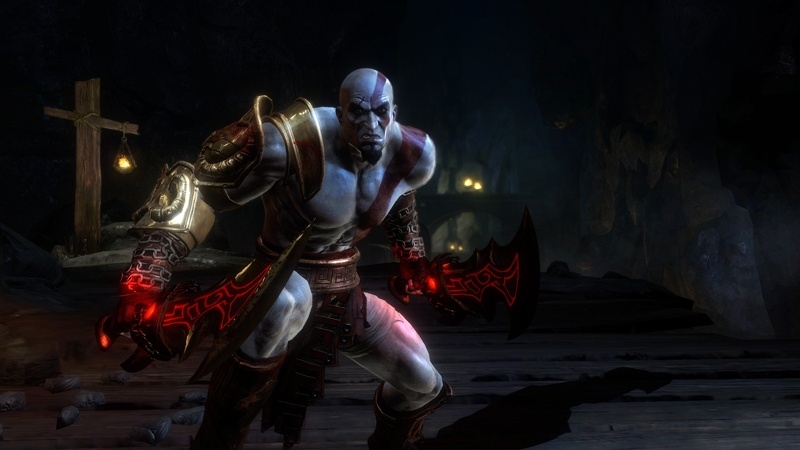 The first being our featured game of April, God of War III, which scored an impressive 9.25. 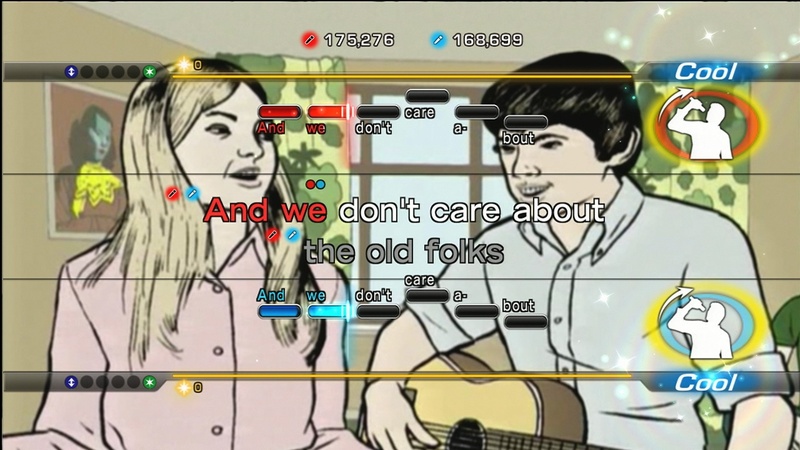 Before that we had SingStar pouring out its heart and soul with stirring vocals at 8.0. Jak and Daxter returned in The Lost Frontier to give us an epic adventure on our PSP, and rightfully receiving an 8.5. Finally, we had some browsing and judging my PSP collection in SPC Quickies - Volume Seven. 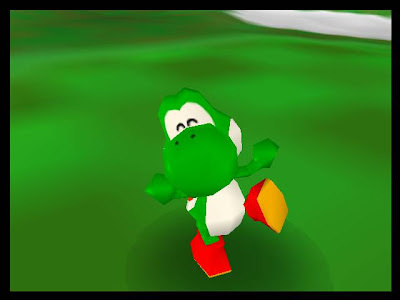 As for next month, I hope you'll be sticking with SuperPhillip Central because I have some big reviews planned including but not limited to Monster Hunter Tri, 3D Dot Game Heroes, and Super Mario Galaxy 2! All scores are out of 10. Capcom has wisely decided to put together another collection of Mega Man titles. This time, they're focusing on the Zero series with Mega Man Zero 1-4. These Game Boy Advance greats will be available June 8th. On today, Wednesday April 28th, 2010, it is my pleasure to announce that SuperPhillip: The Crystal Quest, the upcoming blockbuster RPG starring SuperPhillip (not intended to be about the life of this blogger, but about a childhood creation of mine) and friends is out of hiatus and being worked on again! It's back to making new maps, balancing the gameplay, and creating new scenarios. I'd like to share a bunch of photos (both old and new) showing off new maps, screens, and other odds and ends. Enjoy! I can't reveal anymore, but if you're interested in perhaps play testing the game for me, give me a note via e-mail or comment. Thanks, guys! If you recall correctly, we had a special SPC Showdown earlier in the month. Today we're going back to normal, pitting two similar products, franchises, or characters together for the sheer thrill of it. You can't ask for much more, can you? In this installment, we see (if any) which controller feels the best, which racing game outpaces the other, and which arcade golf game is truly king of the swing. 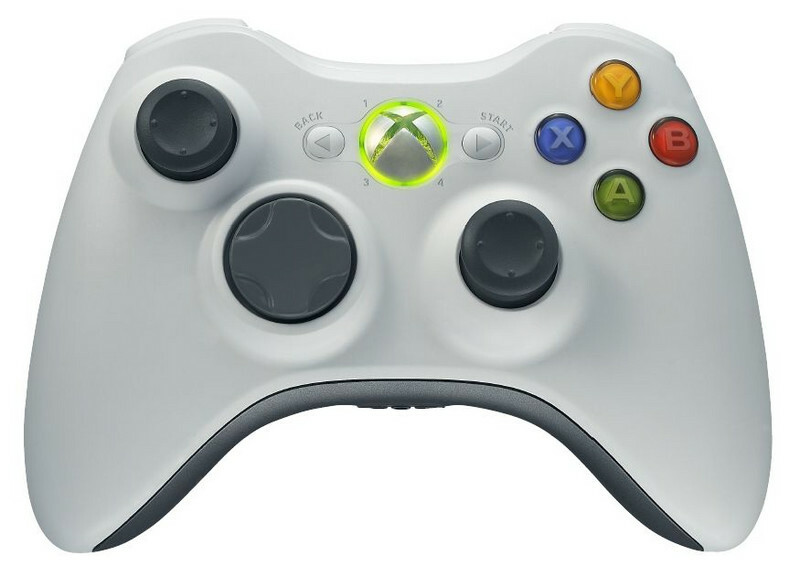 Two great-feeling controllers with wonderful button placement and ergonomic feel are these. Which feels the best? Sony uses the same controller for yet another generation though anything is better than that blasted boomerang controller from several E3s ago! Everything from the d-pad to the buttons to the symmetrical analog sticks feel good. My problem with this controller are the back shoulder triggers. They don't feel as good as the 360's. They're challenging to press fully. I love the ergonomic handles of this controller. The asymmetric analog sticks feel nice and pleasant as well. It's just a cool-looking and awesome-feeling controller. The caveat of this controller is the horrible, god-awful d-pad which was probably designed by the same folks who built the 360's cooling fans. It's useless, and it's difficult to separate pressing up with pressing left or right. Two great kart titles, both available on Wii. 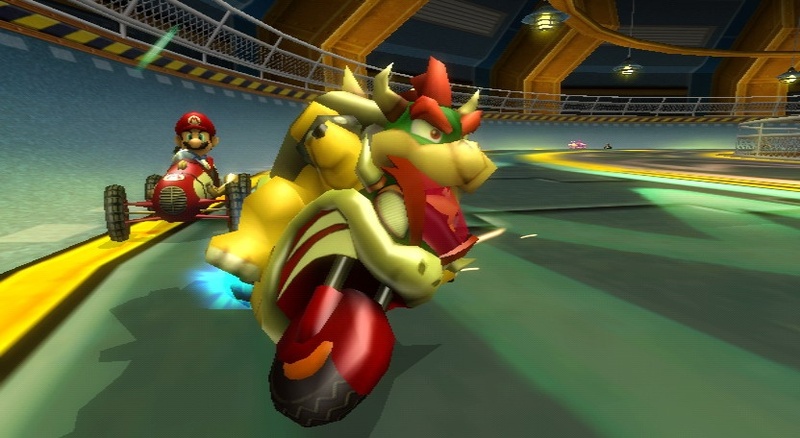 Does Sonic and SEGA outrace Mario's latest karting effort? Let's find out! 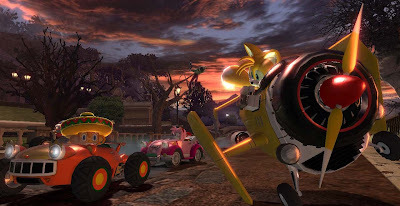 Sonic and friends (and foes, too) head out for some karting chaos of the kickass kind in Sonic and SEGA All-Stars Racing. The game features twenty outrageous tracks including some from the Sonic the Hedgehog, Billy Hatcher, Super Monkey Ball, and House of the Dead series. Perhaps some more franchises could have been represented, but what we have here is pure, clean unadulterated action of the karting kind. The items are balanced and fair, the AI is challenging without feeling cheap, and the visuals are crisp, colorful, and a joy to look at. The games that will allow you to battle it out with your inner diva, Lips and SingStar. Which sing-sation reigns supreme? Lips is Microsoft's answer to the popular SingStar franchise. While it hasn't had as much success, it's doing well overseas, especially in Europe, something it shares in common with SingStar. The beginning track list is much better than SingStar, and the catalog of songs is quite impressive. Singing along with Elton John or whoever is a fun experience. 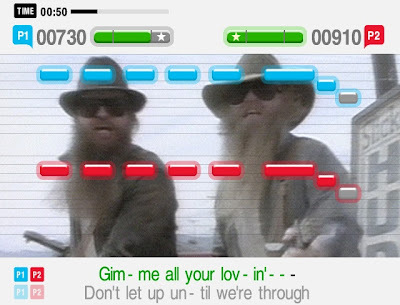 There's one thing Lips doesn't have that SingStar does. That is the greatest progressive rock band of all time in my fact, Yes. Does Lips have Yes at all? No. It does not. SingStar wins automatically. Moreover, there's just a wider selection of songs to choose from previous installments of SingStar from the PlayStation 2 days. My personal favorites come from SingStar Amped and SingStar 80s. Where's my SingStar Yes edition, you nancy boys? Mario Golf VS. Hot Shots Golf Fore! 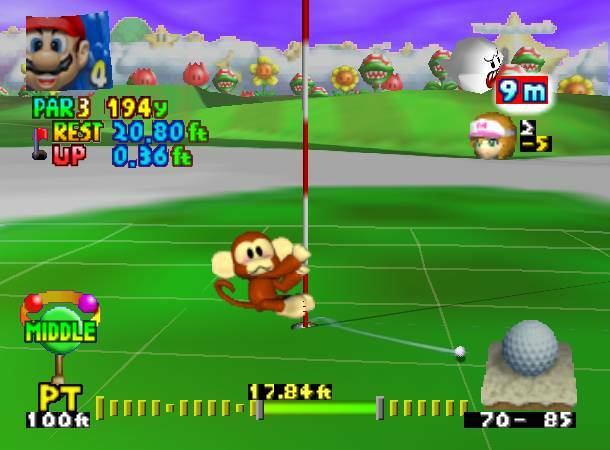 Both of these goofy golf games are the best on their platforms. 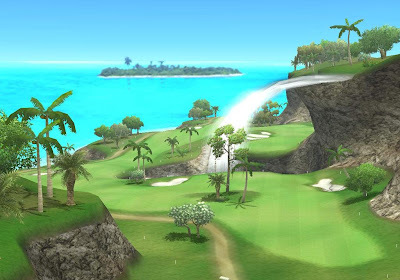 They're simply the best arcade golf titles around. Let's find out why and which chips it in for eagle. Mario and company hit the links for some fantastic golf. While there's only six courses in all, they're designed so well that they'll seldom ever get boring. A wide cast of colorful characters are available to play as such as Mario, Wario, Luigi, Yoshi, Peach, Donkey Kong, Bowser, Baby Mario, Plum, Maple, Charlie, Sonny, and many more. There's mini golf, speed golf, ring golf, skins golf, and any other type of golf you can think of. A great game with a great cast, Mario Golf is one of the better golf games out there. 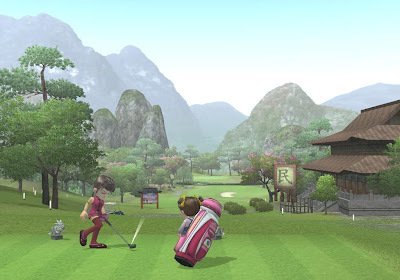 The Hot Shots crew is back, and this time they're teeing it off twelve courses, some of which are from past Hot Shots Golf games. Even Ratchet, Clank, Jak, and Daxter are here to pelt some balls off the tee, too! Playing with a specific golfer would raise their experience. The more experience they gain, the more levels they gain. The more levels they gain, the more power shots they can unleash as well as earn new costumes. The game strikes a masterful brilliance between easy and hard difficulties, and it's one game that I continually find myself coming back to. Winner: Hot Shots Golf Fore! Two upcoming Nintendo titles. Which am I most anticipating? 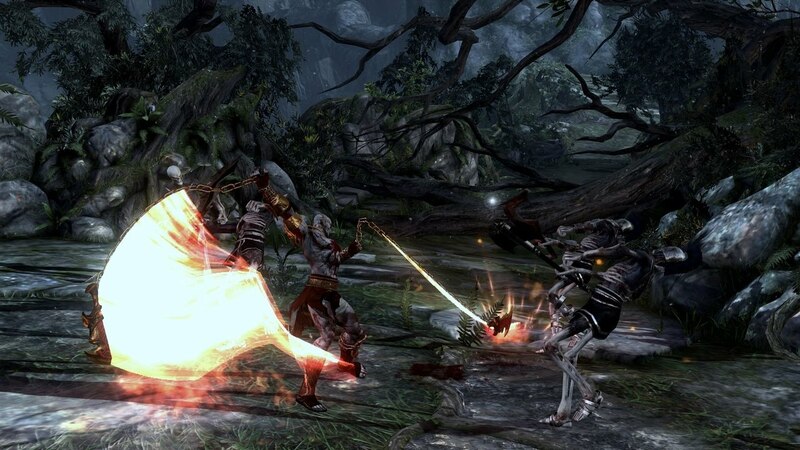 Sin and Punishment's sequel, Successor of the Skies, features eight levels to plow through. Each of which taking anywhere from 15-45 minutes to complete. It's on an on-rails shooter more akin to Star Fox 64 than a House of the Dead game. 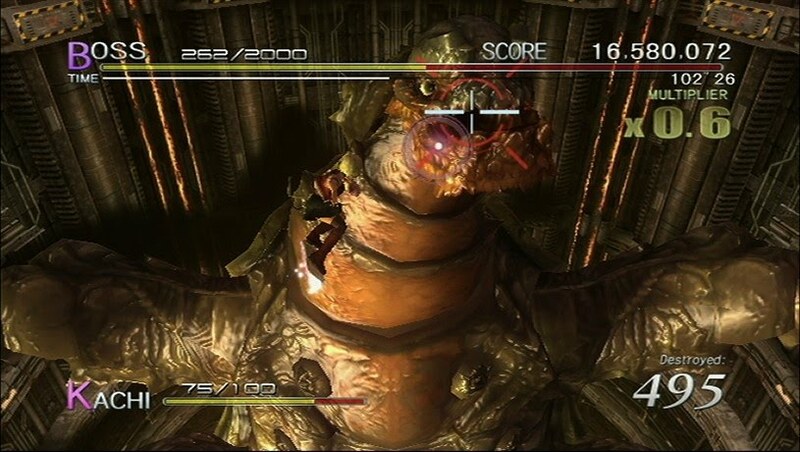 The bosses seem fierce and dastardly with weakpoints to take advantage of. We'll see how Sin and Punishment 2 fares when it reaches North American shores June 27th. I'm a sucker for colorful titles, and FlingSmash is no exception. 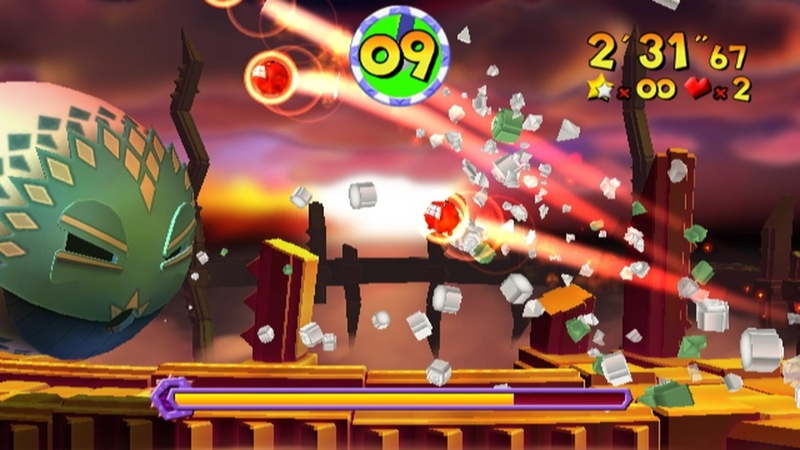 The game smashes into your Wii sometime in July, and it promises to be a totally rad game. You use the MotionPlus peripheral (mandatory for the game) to hit a ball through side-scrolling levels, smashing up panes of glass as well as enemies and bosses. 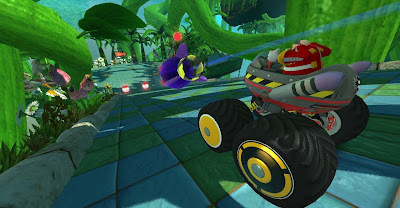 Nintendo promises eight unique worlds each with new types of challenges and obstacles. This is the game I'm more excited for-- especially if it releases at a budget price! How would you have decided each of our five battles? Send me your outcomes in our lovely little comment section! ModNation Racers has the pleasure of being released in a month full of excellent games. There's Super Mario Galaxy 2, 3D Dot Heroes, Red Dead Redemption, and many more. This featurette showcases an awesome Empire City track modeled from InFAMOUS and created by the fine folks at Sucker Punch. Check out just how customizable you can create your tracks. ModNation Racers zooms onto both PS3 and PSP May 25th. We're going ape this edition of SuperPhillip's Favorite VGMs! We've gone bananas! All right, I'll stop monkeying around for now, and introduce our games for this installment. This week we've got Amigo, Donkey Kong, Solid Snake, and Mega Man X to help us out with our simian-themed week. With no further ado, let's get started! v541. Samba de Amigo - Vamos A Carnival! Samba de Amigo originally was released for the SEGA Dreamcast, when SEGA still had their magic. It was later released for the Wii with new songs, DLC, and near-broken controls on the harder difficulties. Vamos A Carnival is but one of the many original tracks made for the game, and it's a great song to party to. Funky's the main monkey in Donkey Kong Country. In the original game, his plane was your vessel to worlds you'd previously completed. His theme had a southern California rock feel to it, and it did rock. 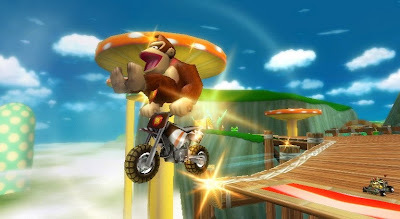 Donning sunglasses and a bandanna, Funky Kong is the coolest Kong this side of the Northern Kremisphere. 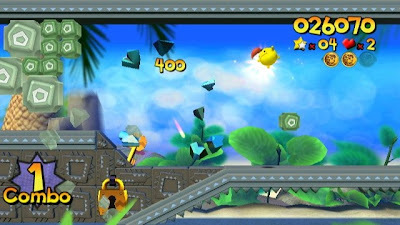 Hideout is the theme to Hideout Helm the final world in Donkey Kong 64. Unlike every other world, Hideout Helm is quite linear as you quickly rush to King K. Rool's dastardly domain. Donkey Kong 64 gets a lot of grief for being a massive collect-a-thon, but somehow I persevered with my older brother, and we completed the game 100%. Listen to this rising tension that Hideout possesses. It's a great piece of music from the fine folks at Rare. 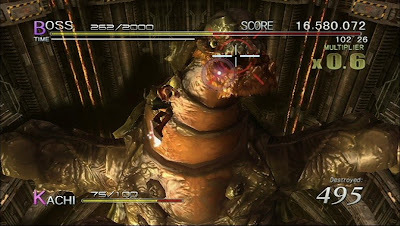 Snake VS. Monkey is the theme of the mini-game contained within Metal Gear Solid 3: Snake Eater. It stars everyone's favorite Sony monkeys, the Ape Escape monkeys. The goal is simple-- find, knock out, and collect all of the monkeys in a given area of the game. Whereas Snake Eater had fixed camera angles, Subsistence was easy to capture all those pesky monkeys with its free-roaming camera. Monkey madness comes to an end with a song from Mega Man X7. Soldier Stonekong is the maverick who has hold himself up deep inside a forest. Mega Man X7 was Capcom's attempt to experiment with the series, and quite frankly it failed. 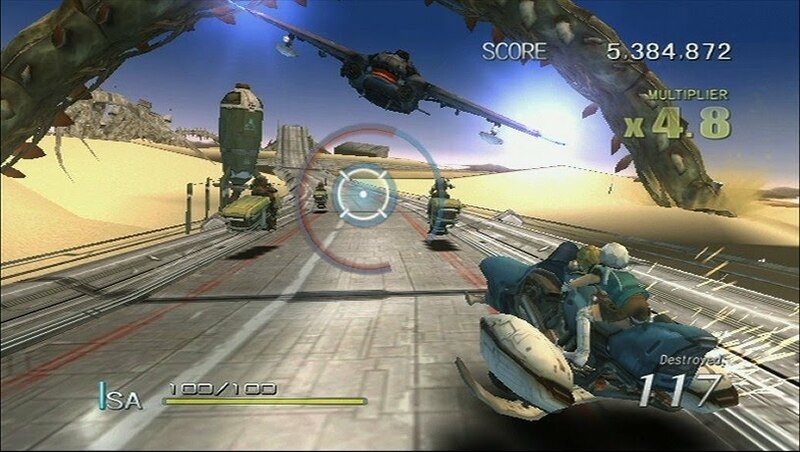 The 3D gameplay just didn't work as well as it could have, and after this game, the X series went back to tried and true 2(1/2)D gameplay. Hm. The songs are over, and all that's left are leftover banana peels. Guess we're done here for this week. Until next week when we'll be checking out several new franchises and games on SuperPhillip's Favorite VGMs, see you later!